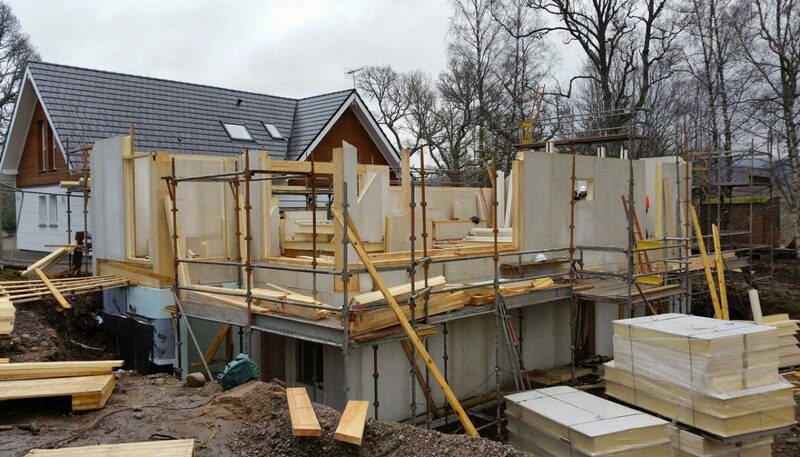 McGregor Garrow Architects were invited out to visit the site of a new build house, being constructed in a new Structurally Insulated Panel System (SIPS), by MGO SIP Systems. After a long drive to Kincraig (8 miles south of Aviemore) we made it to site to be greeted by the Managing Director of MGO SIP Systems, Phil Slater, who showed us around the site. We were shown the various detail components which made up the panel system. 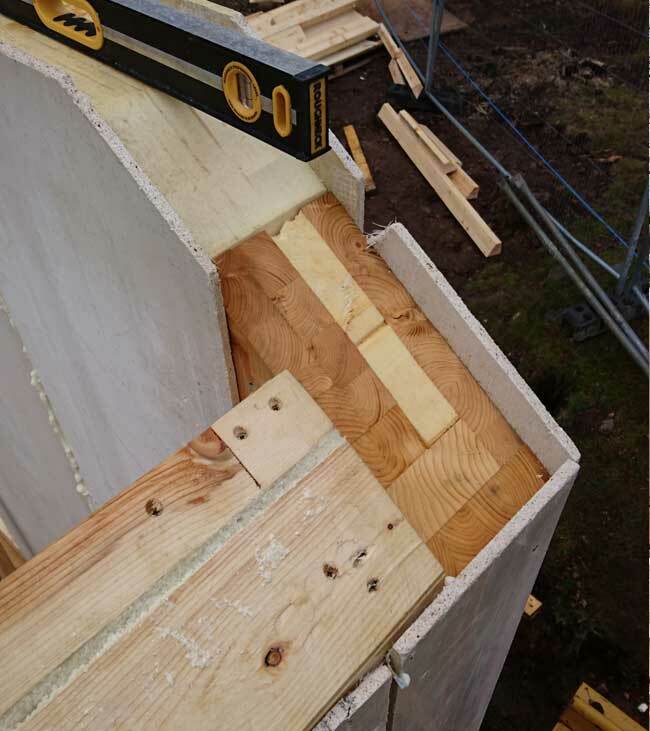 As the panels are lightweight they are lifted into place in large sections and joined together by a simple cam locking system, which means the complete structure can be quickly erected on site. 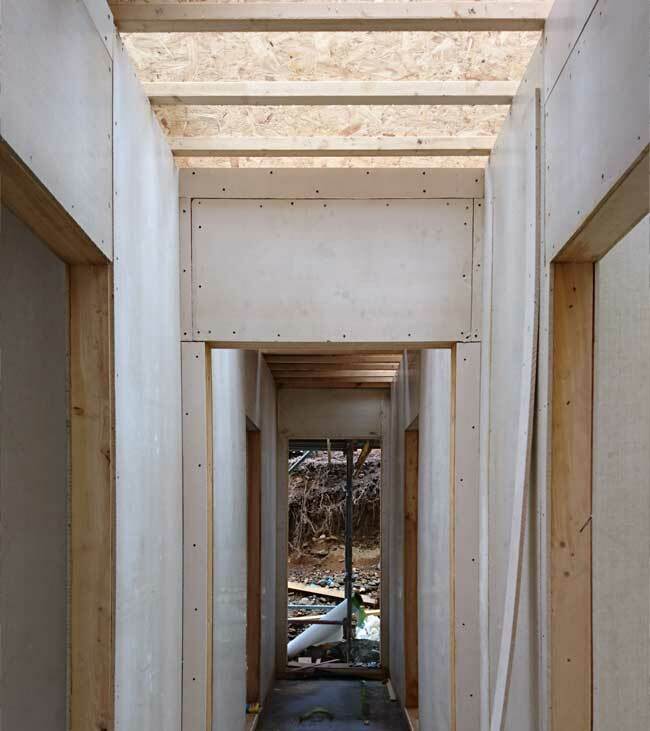 The panels are the perfect solution for rapidly constructing thermally efficient, airtight homes and buildings. 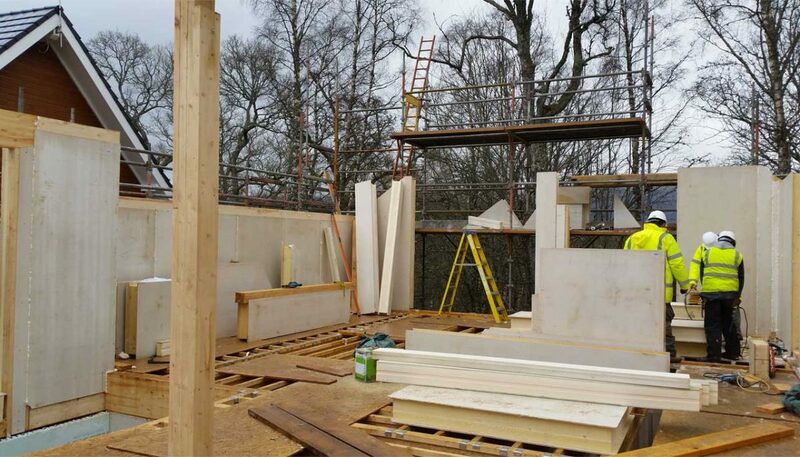 The panels can be used for external and internal walls, roofs and intermediate floors and can be used to create stunning modern homes. After the site visit Phil took us to a nearby café for some soup, to warm us up, and to chat about the system, before we headed on our way. This is definitely a system which we would like to incorporate into some of our projects, so please feel free to ask us about it or go to http://www.mgo-sipsystems.co.uk/ to read more.